Raman lidar systems detect, in addition to backscattering at the laser wavelength (elastic backscattering), also signals at different wavelengths. These signals emerge from scattering by molecules, which absorb a part of the photon's energy or add an amount of energy to the photon's energy (inelastic scattering). By inelastic scattering, these molecules change their vibrational and/or rotational state (Raman process). The backscattered light experiences a frequency shift caused by its change of energy. This shift is characteristic for the scattering molecule, here schematically displayed for the example of Raman scattering by nitrogen. 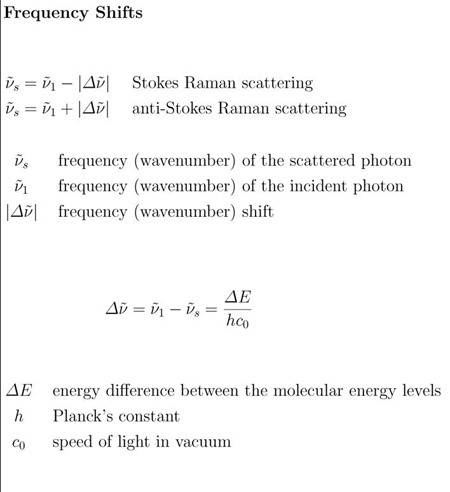 The frequency shifts can be computed from the energy difference of vibration and/or rotation states of the molecule involved in the Raman scattering process by means of the following scheme. he Raman scattering cross sections are several orders of magnitude smaller than those for elastic scattering. Therefore, Raman lidars work with high laser pulse energy, relatively large telescopes, and efficient detectors on the basis of single-photon detection. This picture shows the atmospheric Raman spectrum for a stimulation wavelength of 355 nm. The dual-field-of-view (dual-FOV) Raman lidar technique allows the investigation of cloud microphysical properties. Profiles of the cloud extinction coefficient as well as cloud droplet effective radius are derived in the lowest 150 to 250 m of water clouds up to optical depths of 2 to 3. From these quantities profiles of the liquid water content (LWC) and cloud droplet number concentration (CDNC) are calculated. All four of these quantities are very important cloud properties, e.g. for the evaluation of the clouds’ radiative effects. Thus, the capability to obtain these cloud properties in combination with the conventional lidar methods for the retrieval of numerous aerosol properties makes the dual-FOV Raman lidar technique an ideal approach for the investigation of aerosol-cloud interactions. The technique relies on the measurement of multiply scattered light. At lidar probings of water clouds, a large fraction of the light which is scattered at cloud droplets is scattered in forward direction. The result are multiple scattering processes, which describe a scattering process where one or more forward scattering events occur before and/ or after a backscattering event. 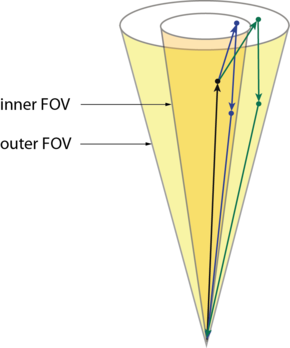 As the angle at the forward scattering depends bijectively on cloud droplet size, the angular distribution of the backscattered light contains information about the droplet size. 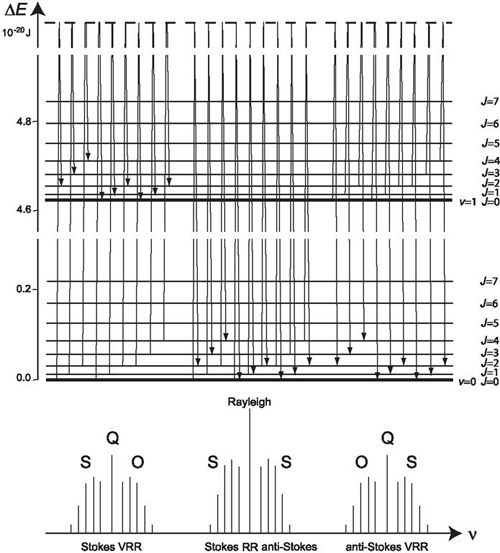 This information is exploited at dual-FOV Raman lidar measurements. At probings of clouds, the lidar return is detected with two coaxial FOVs, as displayed in Fig. 1. A forward iterative algorithm, developed at the National Academy of Sciences in Belarus within a collaboration, utilizes these signals to derive the mentioned profiles of cloud properties. An important feature of this measurement technique is the detection of Raman scattered light in both FOVs. The exclusive detection of light which was once Raman scattered by a nitrogen molecule guarantees that the backscattering event occurs at a nitrogen molecule with an isotropic phase function, which facilitates the data analysis. The simultaneous measurement with two FOVs is rendered possible through the usage of a mirror diaphragm (see Figure 2) despite of a conventional field stop. It consists of a mirror which is placed under 45° degree in the optical path. 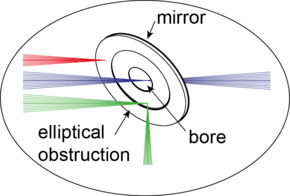 An elliptical bore serves as field stop and defines the inner FOV. Light from without this FOV is reflected towards the detection channels for the outer FOV. An elliptical obstruction of the mirror defines the size of the outer FOV. Wandinger, U. (2005), Raman lidar, in Lidar - Range-resolved optical remote sensing of the atmosphere, C. Weitkamp (Ed. ), Springer, New York. 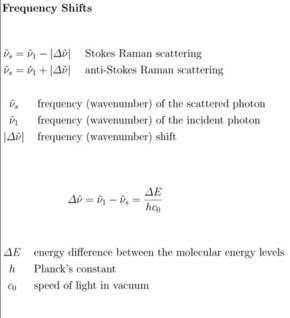 Since the population of energy levels follwos a Boltzmann distribution, the intensity distribution within the Raman bands contains information on the temperature in the scattering volume. One application of Raman lidars is therefore the measurement of atmospheric temperature profiles. A change of the vibrational state results in frequency shifts of some hundred to thousand wavenumbers (depending on the Raman active molecules). Spectrally resolved analysis of backscattered radiation therefore allows the measurement of various atmospheric species. However, the comparably low Raman scattering cross sections limit a meaningful application to gases present in rather high concentrations. 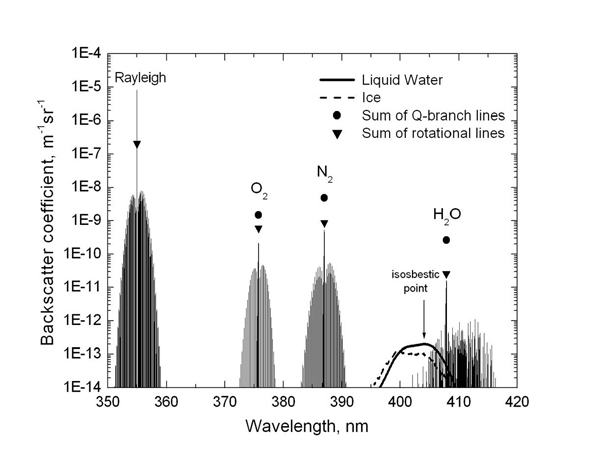 Thus Raman lidar is widely used for measurements of atmospheric water vapor. Raman backscattering from gases of known number concentration (oxygen, nitrogen) serves as an atmospheric reference. 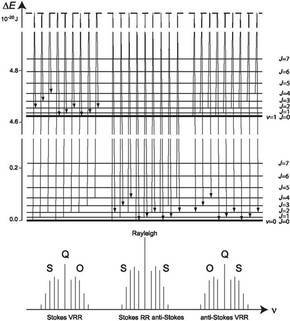 Therefore, Raman nitrogen/oxygen signals can be used to retrieve aerosol extinction coefficients and to determine ozone concentrations using the so-called Raman DIAL technique.